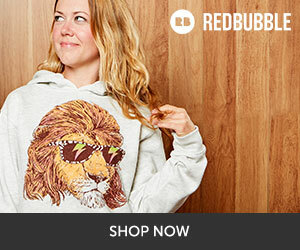 This is a sponsored post written by me for Bloomlife. All opinions are 100% mine. Hey guys! Sorry it's been a bit quite around here lately. As you might know we are pregnant with our first child and I'm already in my third trimester! I can't honestly believe how quick these months have gone by. Before I know it we will be welcoming our son into the world. We're both pretty excited to meet him and have a new member of the family. He's quite the kicker and is moving around ALL the time so we may have our hands full. As I've been getting closer to my due date, I've been asked if I've felt any contractions, and to be honest, I have no idea. Braxton Hicks contractions are quite common but even after all the questions to other moms, my midwife, and many google searches later, I'm still not sure if I've felt any. There are all kinds of things going on each day with my body, and each day gets more and more uncomfortable. Maybe I have mistaken it for something else...not really sure. Since I've never had a child before I'm constantly wondering if I'll even know when I start to go into labor. I know that's a little crazy to think, I'm sure it will be very clear what's going on when it happens but having never experienced it there is so much unknown for how I will feel. There is so much technology out there now to help expecting mom and dads and even a tracker to help detect pregnancy contractions as your due date gets closer. 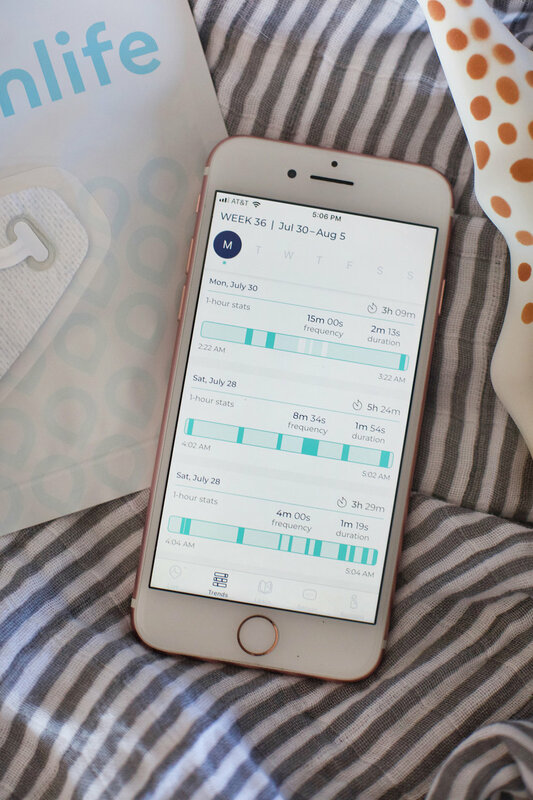 I was excited to work with Bloomlife and try out their clinically validated wearable contraction monitor and share my experience with you. Bloomlife believes that expecting moms should have better, more personalized information at their fingertips for a simpler and more empowered pregnancy. Through their tracker, you can automatically track the duration and frequency of your contractions. You rent the sensor on a week-to-week basis, which you can start as early as you’d like in your pregnancy but most people choose the last 6 to 8 weeks. The kit comes to you with the sensor, quick guide, charging cord, and patches (used to hold sensor on your belly). Then all you need to do is download the free app to your smartphone to activate the sensor. Bloomlife is completely non-invasive and measures uterine activity with electrophysiology (the same technology used when doctors measure your heart rhythm with EKG). It works the best when you’re not moving too much, which for me can be difficult. Because even now I have a hard time sitting still, I've been using mine while I sleeping at night. After wearing the tracker for at least an hour it will start collecting data in the app. After that, a graph shows the frequency and duration of your contractions as well as what time you had them. 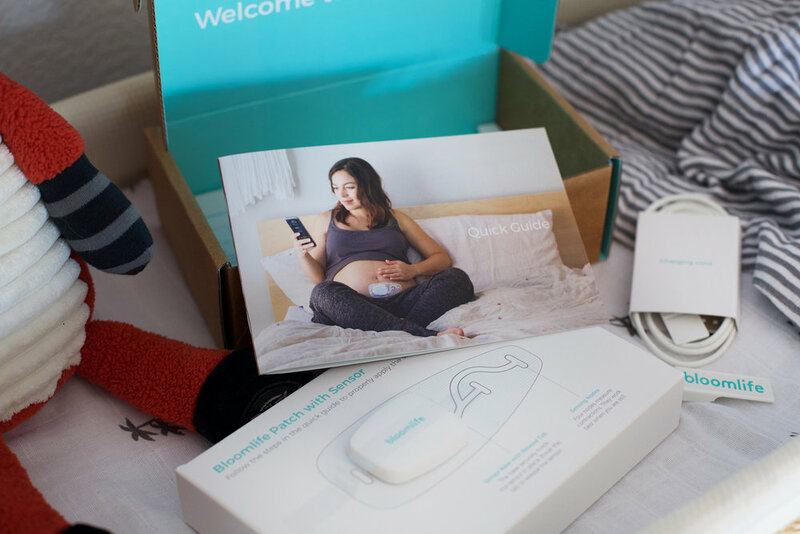 The sensor will detect when you’re having a contraction, but currently is unable to tell you if you’re having Braxton Hicks or real labor contractions. The Bloomlife app and website have several educational articles for more about what's going on with your body and the difference between the various kinds of contractions. I've only been using the sensor for about a week, but the data it shows has been fascinating. It also shows trends over a period of time. I had no idea I was having any contractions at all, and apparently some nights, I have quite a few. The sensor gives me peace of mind knowing more about what's going on with me and I will be able to have a better understanding of when I may be getting closer to delivery. It's been a great supplemental tool with helpful information I can share with my Midwife or doctors if needed. After you deliver, just print out a shipping label and send the sensor back, only paying for the time you had the device. 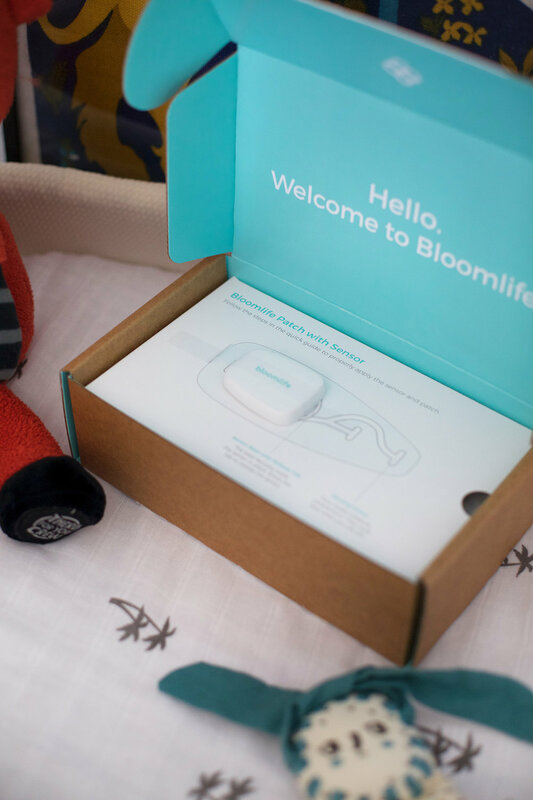 To learn more about Bloomlife or reserve a pregnancy tracker, visit their website here. If you or someone you know is expecting a child and would like to try Bloomlife use code SH10 to save 10% off the weekly price. Have a wonderful week! I can't wait to share our little guy with you once he arrives in a few weeks! Hi, I'm Sara, an artist and content creator living in Santa Cruz, CA. Bleed in colors is a blog and portfolio site of my work and many passions in life.